The Leaving Certificate is a two year programme. In Deele College all subjects are offered at Ordinary and Higher level. Irish and Mathematics are also available at Foundation level. 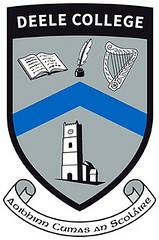 Students are required to study at least 5 subjects, one of which must be Irish.